Elephants passing in slow, stately groups, lions lazing under a tree in the noonday heat, shaggy mountain gorillas feeding in a clearing in the rain forest—these images instantly suggest Africa, which is famous around the world for the amount and variety of its wildlife. Yet the rapid growth of Africa’s human population, accompanied by the use of ever more land for farming and other human activities, threatens many individual species and the future of Africa’s wildlife in general. African nations are working to protect their natural heritage by developing wildlife management plans and by setting land aside as national parks and game preserves. The most successful conservation efforts will probably be those that recognize the needs and desires of the African people as well as the need to protect animals. Africa is home to an astonishing variety of mammals. The continent’s herbivores, or plant-eating animals, range from elephants, rhinoceroses, and hippopotamuses to hoofed mammals, such as the giraffe and the African buffalo. Vast herds of grazing animals, such as zebras and wildebeests, roam the open plains and savannas. Africa’s many varieties of antelope include the hartebeest, gnu or wildebeest, dik-dik, gazelle, impala, springbok, oryx, reedbuck, and eland, the largest antelope. More than 60 species of carnivores, or flesh-eating mammals, prey on the herbivores and sometimes on smaller and weaker carnivores. In addition to hunting live animals, the carnivores devour carcasses. Africa is home to three kinds of large cats—lions, leopards, and cheetahs—and smaller felines such as the serval and wildcat. Wild dogs, jackals, foxes, hyenas, civets, and weasels are also predators. Forty-five species of monkeys and two species of great apes, the chimpanzee and the gorilla, live in Africa. The continent also has many species of lemurs, small animals that belong to the primate family, like monkeys and apes. Most lemurs live in trees and are nocturnal, or active at night, although a few are active by day. The island of MADAGASCAR has the largest variety of lemurs in the world. Some of the mammals that live in Africa are found nowhere else in the world. These include giraffes, hippopotamuses, jumping hares, and the long-snouted, insect-eating tenrecs of Madagascar. Another animal unique to Africa is the aardvark, a large nocturnal animal with a piglike body, long tail, rabbitlike ears, and a long snout. The aardvark rips open termite nests with its sharp claws, then uses its sticky almost one-footlong tongue to lap up the insects inside. Nearly 2,000 species of birds spend at least part of each year in Africa. In addition to varieties of hawks, eagles, owls, larks, kingfishers, and other birds found elsewhere in the world, several bird species are native only to Africa. These include the ostrich, Africa’s largest bird; the hammerkop, which resembles a heron; and touracos, birds with brightly colored feathers. Several species of small, drab birds are called honey guides because people follow them to honeybee nests. A great many reptiles and amphibians creep, slither, or hop along Africa’s varied terrain. Reptiles include lizards, tortoises, crocodiles, and many types of snakes. Some snakes, such as the mamba and the Egyptian cobra, are venomous enough to be dangerous to humans. Boa constrictors and iguanas live only on Madagascar. Among Africa’s amphibians are various salamanders and frogs, including the bizarre hairy frog of CAMEROON. Of the almost countless species of insects in Africa, several are regarded as pests. Locusts devour crops and other vegetation; mosquitoes carry malaria; and tsetse flies carry trypanosomiasis, or sleeping sickness, a disease that harms both humans and livestock. Other African insects include various species of large butterflies, dung beetles, stick insects that resemble twigs or leaves, driver or safari ants that travel in huge columns, and termites that cooperate to build tall earthen mounds. Spiders are plentiful everywhere. A wide variety of marine life exists off the coasts of Africa, and the continent has more kinds of freshwater fish than any other—about 2,000 species. Some freshwater creatures are ancient varieties that have changed little over millions of years, such as lungfish, lobefins, and reedfish, which can breathe air. Certain types of African catfish not only breathe air but also move across land during rainy weather. Lake Nyasa alone has about 160 species of fish found nowhere else in the world. The waters of southern and eastern Africa harbor the coelacanth, an ancient form of fish thought to have been extinct for over 60 million years until one was caught in 1938. Other coelacanths have been discovered more recently. Wildlife numbers have fallen in Africa since the widespread introduction of firearms in the mid-1800s. At first European hunters and colonists slaughtered large numbers of animals. However the greatest decline has come since the 1940s, due to hunting and habitat destruction by Africans. Some species have been affected more severely than others. The number of African elephants dropped from about two million in the early 1970s to around 600,000 by 1990, mainly as a result of illegal hunting for their ivory tusks. Rhinoceros and gorilla populations were dramatically reduced and the animals became endangered species. In the 1990s experts named Cameroon, CONGO (KINSHASA), and Madagascar as the countries in which wildlife species are most threatened. Most African nations have taken steps to protect and preserve wildlife. One problem is that different countries disagree about how best to deal with the situation. Countries in northeastern and eastern Africa, for example, support a total ban on the IVORY TRADE to protect elephants, while those in southern Africa want a regulated ivory trade to continue. Many African governments have established national parks and wildlife preserves, or game parks, as wilderness areas to be protected from human development. Colonial authorities in the early 1900s created the first parks to provide a safe haven for wildlife, a base for scientific study, and educational and recreational opportunities for both local people and visitors. The oldest of these is SOUTH AFRICA’s Kruger National Park. Africa’s protected areas and parks vary greatly in number, size, and quality from country to country. 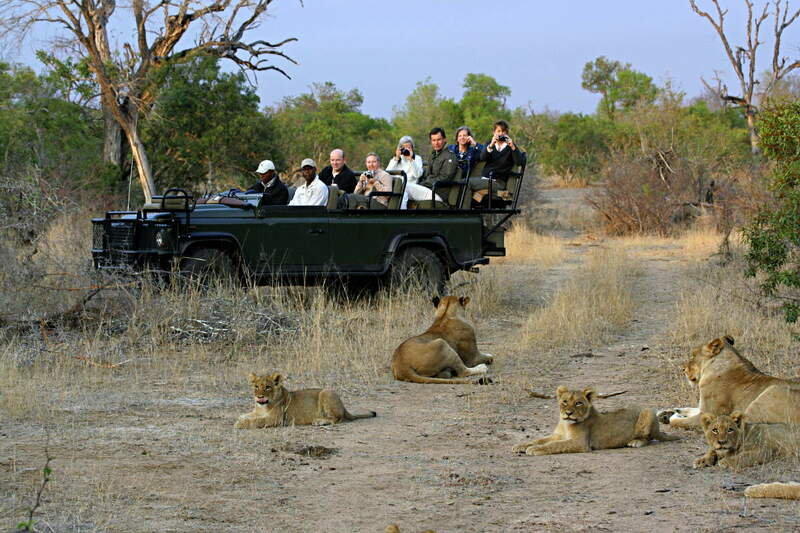 Eastern and southern Africa are particularly well known for their wildlife parks. Tsavo in KENYA and Serengeti in TANZANIA are among the continent’s largest and most famous parks. MALAWI, NAMIBIA, ZAMBIA, and ZIMBABWE also boast impressive preserves. However, few countries in western Africa have significant parks. Several countries of northern Africa, including SUDAN, ALGERIA, MOROCCO, TUNISIA, EGYPT, and MAURITANIA, participated in international talks about preserving wildlife in the 1990s. Since then, they have begun setting aside new protected areas, developing training programs for park managers, and launching efforts to protect certain species, such as endangered seals. Government programs in Morocco have saved the macaco, or Barbary ape, from extinction in the forests of the Middle Atlas mountain range. Not all of Africa’s wildlife parks offer the same level of protection to animals and their habitats. Some governments have completely banned human presence or activity in parks, moving people away from homes that lie within park boundaries. In Tanzania alone, more than 50,000 people have been relocated from parks. Other governments allow people to live in protected areas, but prohibit the use of resources, such as firewood or pasture, inside the parks. Some preserves are designed for multiple use. In addition to setting aside land, wildlife management in Africa includes efforts to preserve genetic diversity, which means keeping a wide variety of animals in populations large enough to reproduce healthy young. To accomplish this, authorities and park managers work to protect the ECOSYSTEMS in which plants and animals flourish. Although many of Africa’s parks are in savannas and rain forests, new parks have been designed to protect areas such as mangrove swamps, deserts, and lakes.